It is now 6:40 AM HAT Time on Wednesday, April 24, 2019. Relay Online Registration closed at 11:59 PM on Wed, Oct 3, 2018. Swim First with someone taking your splits on the official split sheet, then enter the 2018 USMS 5k/10k ePostal Nationals by submitting your results here. When entering, have your split sheet handy - you will need to enter select splits to complete your entry. All individual entries must be submitted by 11:59PM HAT on September 16, 2018. All relay entries must be submitted by 11:59PM HAT on September 26, 2018. Completed split sheets for individual National Record swims must also be received by the Event Director by September 26. Your online entry is not complete until you have received a confirmation of your entry by email. If you do not receive this confirmation following your entry, please contact the Event Director. Event Description: You complete a timed swim of 5 kilometers and/or 10 kilometers in a 50-meter pool of your choice, then submit your times online. Some people swim for competition - to compare themselves to other swimmers doing the same event, some for the challenge, some for fitness, and others do it for fun — all who wish to participate are welcome. Your submitted time determines the final order of finish. New to swimming long distance or not sure how to do it? Check out our tips and suggestions. Please note: The 5k and 10k swims are separate events and you need to swim twice to enter both. Split times from 10k may not be used for entry into the 5k. Location: For the 5k and 10k events, all swims must be completed in a 50-meter pool ONLY—no other length of pool will be accepted. Eligibility: All swimmers must be 2018 full members of USMS (or the equivalent FINA organization for foreign swimmers) on or before the day of their swim. One-Event USMS memberships are not available for this event. USMS swimmers will have their membership verified automatically. Foreign swimmers must verify their FINA Organization membership by submitting an electronic or mailed copy of their FINA organization 2018 registration card to the event director by September 16, 2018. Foreign swimmers are not eligible for USMS records or All-American status. Fees: $12 for each individual swimmer ($15 for foreign swimmers) and $16 for each relay ($20 for foreign swimmers). Fees are non-refundable. Entries must be paid by credit card: Visa, MasterCard, or Discover. Your credit card will reflect a charge from "ClubAssistant.com Events", our software and merchant account provider. Each individual must sign and submit her/his own entry with original signature (i.e. no club can send in a large group entry without the individual entry form including entrant’s signature on the waiver page). This is per USMS legal counsel. Rules: 2018 USMS Rules govern these events, including USMS Rule 102.12.1 regarding swimwear. Drafting, flotation, and propulsive devices (pull buoys, fins, paddles, snorkels, wet suits, etc.) are not permitted. No more than two swimmers should share a lane. If a lane is shared, each swimmer must stay on his or her side of the lane during the entire race (i.e. no circle swimming). Timing may be done with a stopwatch or electronic timing device. Cumulative split times must be recorded to the nearest second on the official event split sheet. Any final time submitted without tenths or hundredths will be defaulted to .99 second, and any final time submitted with tenths (.x) will be defaulted to .x9 second. Enter .99 if you have no tenths or hundredths of a second as a documented final time. No adjustment will be made for swims completed at elevation. Individual Events: Men and women compete separately in age groups of five-year increments: 18-24, 25-29, 30-34, and as far as necessary. The swimmer’s age as of Dec. 31, 2018 will determine his or her age group. (Reference: USMS rule 301.4: "In open water and postal swims, the eligibility of a swimmer shall be determined by the age of the swimmer on December 31 of the year of competition, except for 18-year-olds, who must be 18 on the day that they swim.") That means that each swimmer can only submit an entry in one age group for the 2018 USMS 5K/10K ePostal Nationals. Individual Entries: When submitting your results online, you will be asked to enter 500-meter splits for the 5k swim and 1000-meter splits for the 10k swim. Swimmers are not required to submit a completed split sheet unless that swimmer has broken an individual national record. However, the Event Director may request your entry sheet for verification; failure to do so may result in individual and relay disqualification, so please retain a copy of your completed split sheet for one year after the entry deadline. Note the deadline above. Relay Events: Cumulative relays will be contested in three categories: Women (3 female swimmers), Men (3 male swimmers), and Mixed (2 female & 2 male swimmers). Each relay member MUST have entered the individual event and be registered with the same USMS Club (‘unattached’ swimmers are not permitted on relays by definition). The cumulative time of the individual swims will be the relay time. Swimmers may enter only one same-gender and one mixed-gender relay in each ePostal event. Age groups are 18+, 25+, 35+, and as far as necessary; the youngest swimmer’s age will determine the relay’s age group. Completed split sheets for individual National Record breakers must be received by November 25. 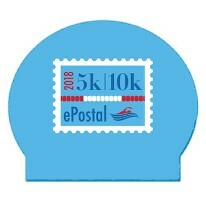 Scan and email to Event Director at: 5k10kswim@gmail.com or mail to ePostal National Championships, Att: Chris Layton, 811 W Aldine #4-S, Chicago, IL 60657. The 5k split from the 10k swim may be submitted for a record if requested in writing and at least two dedicated handheld watches are used to record the record split to the nearest 100th of a second. However, this result cannot be used as entry for the 5k swim (see above). Records will be updated on the USMS Long Distance National Records webpage and printed in the 2019 USMS Rule Book. Awards: The top six finishers in each age group in the individual event, and the top three relay teams in each relay age group, will receive USMS Long Distance National Championship medals. First place finishers in each individual and relay age group who are also USMS members will also receive a USMS Long Distance National Championship patch--only one patch per event per participant will be awarded. We will award the top team in each category of Large, Medium, and Small. 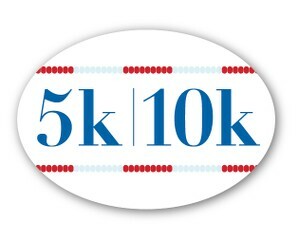 Participants who enter both the 5k and 10k events will receive a sticker noting your accomplishment (akin to the 26.2 stickers seen on cars - bragging rights are well deserved!). 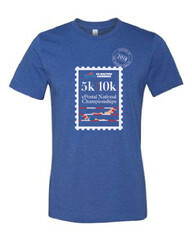 Event Merchandise: The 2018 USMS 5k/10k ePostal Nationals T-shirt is available for $24 ($30 for foreign swimmers) with entry. Caps will be available for $15. More information on the merchandise available is available here. Purchase merchandise AFTER completing event entry: Did you forget to buy an event T-shirt or cap? Would you like to remember the fun long after the event is over? You can do this all using the public shopping cart link. Results: Preliminary results will be posted at www.usms.org by October 15 for one week. All corrections must be sent to the event director that week. Final results will be posted promptly after that. 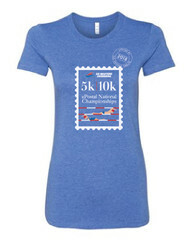 Questions: Contact Event Director Chris Layton at: 5k10kswim@gmail.com or (312) 953-4394. Online Registration closed on 9/23/2018.